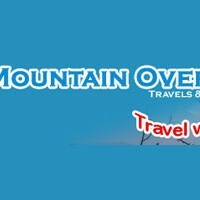 Home » Mountain Overland Travels and Tours Pvt. Ltd.
Mountain Overland Travels and Tours Pvt. Ltd.
Mountain Overland Travels and Tours Pvt. Ltd. is organized and operated by highly experienced professionals on travel tourism sector of Nepal. As they understand quality travel experience is one of the beautiful moment that everyone want to collect for lifetime, they are dedicated professional to fulfill such wish for their valuable domestic and international clients. The goal of Mountain Overland Travels and Tours Pvt. Ltd. is to provide quality and luxury travel service connecting main tourism hubs of Nepal i.e. Pokhara, Kathmandu, Chitwan and Lumbini. As they have realized, travelling these major tourism destinations with quality service and freedom of destination choice in cost effective way is the crucial decision for their valuable domestic and international clients. They are delighted to offer such type of service for the first time in Nepal.